Guy Stauber's most recent commission made it's debut over the weekend on the CBS show, 48 Hours. 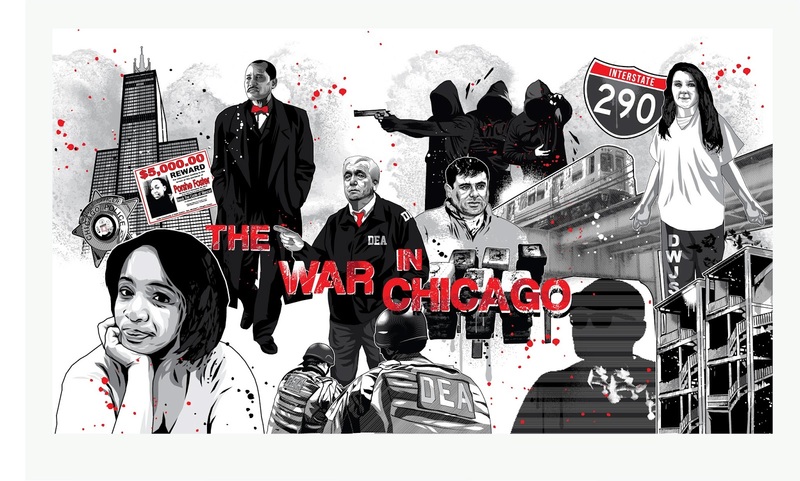 This particular episode of the popular crime documentary series focused in on the gun and drug related violence of Chicago. Guy was asked to create a large scale and multi-element "mural" that would server as a transition in between scenes and interviews. You can now view the entire episode on their website here.